Page 3 of 3 - Photos from the 2013 Christmas Letter! This page shows ONLY photos which are included in the Annual Christmas Letter for 2013. On this page are the photos from October, November and December - Christmas Letter pages 14 - 18 (the end) inclusive. Click on any thumbnail to begin. What is the difference between these pages and the actual Christmas Letter? These pages show only the photos from the Christmas Letter and VERY brief photo descriptions. The Christmas Letter tells the actual stories behind the photos and more details about the where and why. Page 14 of Christmas Letter. 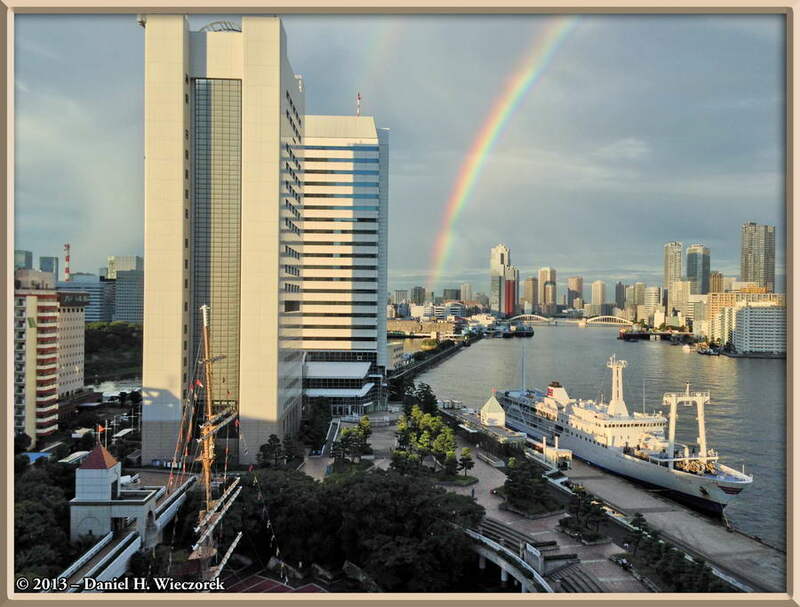 First Photo - A nice rainbow with a faint double one to the left of it from a building where I was teaching at the time. 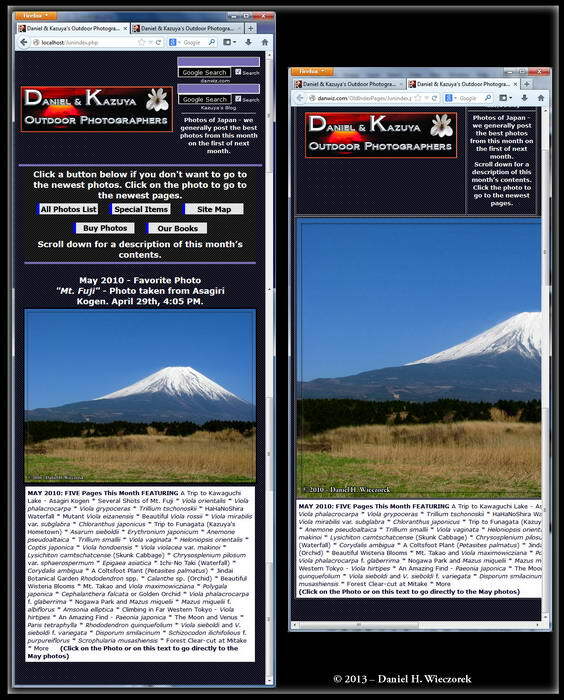 Second Photo - A Comparison of new (left) & old (right) style web pages with a narrow browser window. Third Photo - Osmanthus fragrans var. 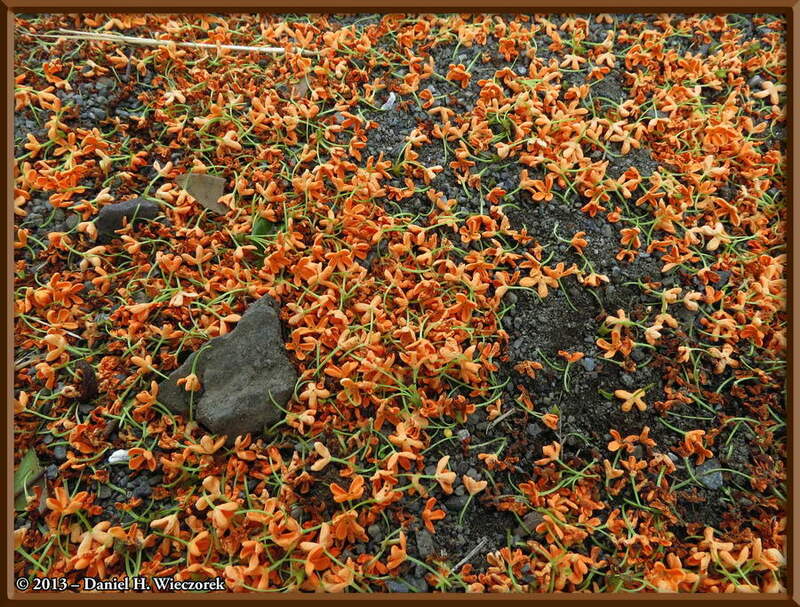 aurantiacus (Kinmokusei in Japanese) flowers lying on the ground. Page 15 of Christmas Letter. 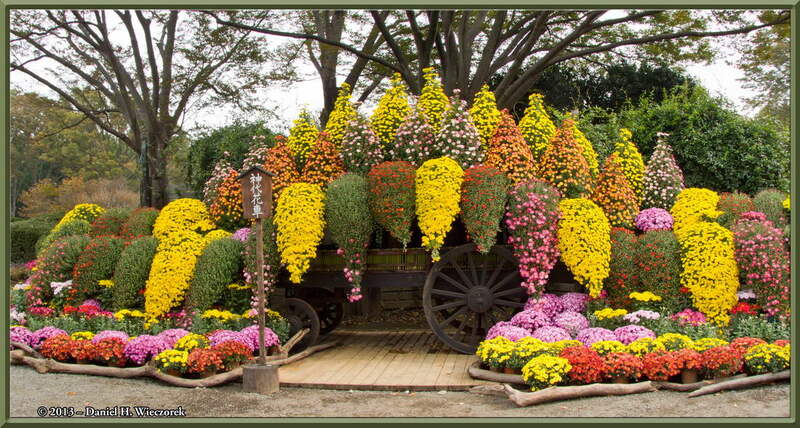 First Photo - Jindai Botanical Garden - the Chrysanthemum Waterfall. 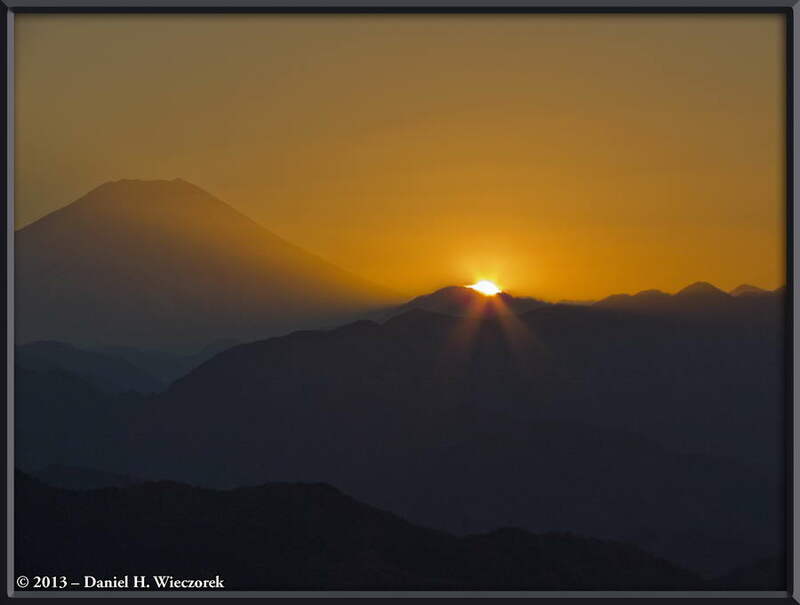 Second Photo - Mt. 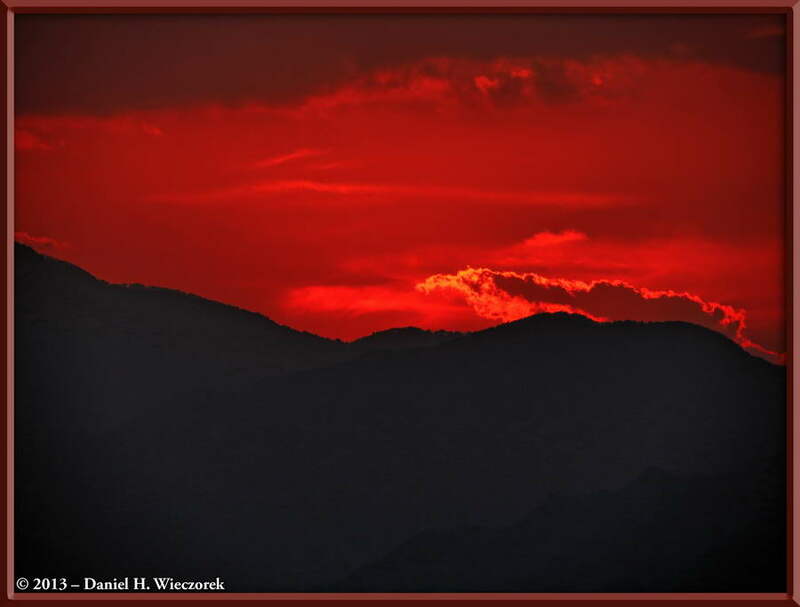 Takao - a moment after sunset. 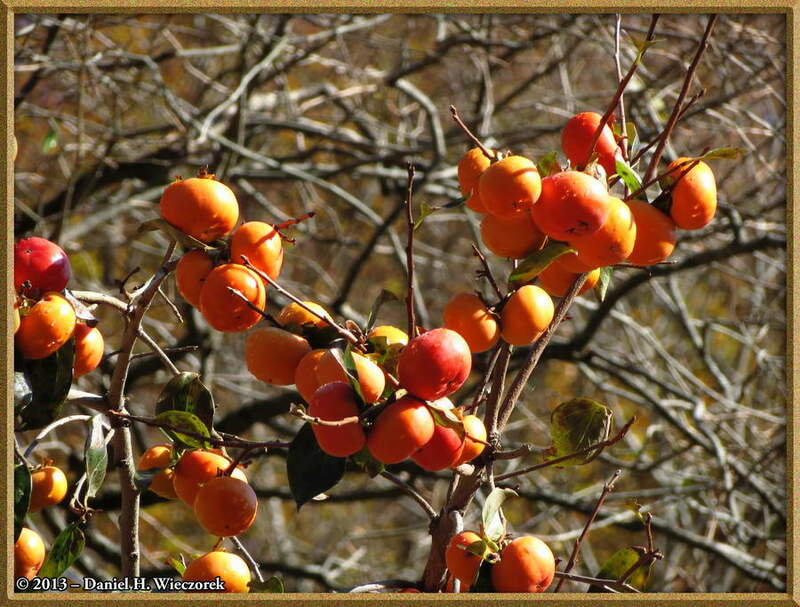 Third Photo - A Beautiful bunch of persimmons (Diospyros sp.) at Higashi Nippara. Page 16 of Christmas Letter. 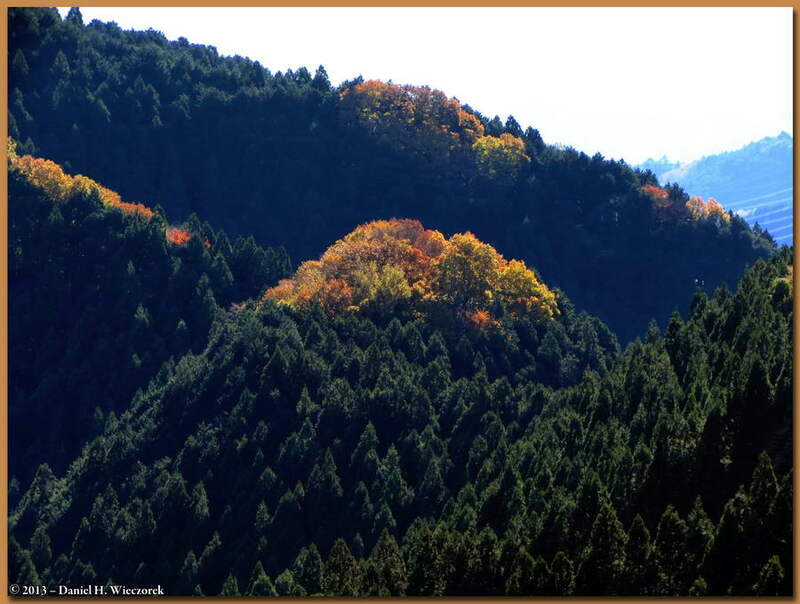 First Photo - Inamura Rock Autumn Colors, at Higashi Nippara. 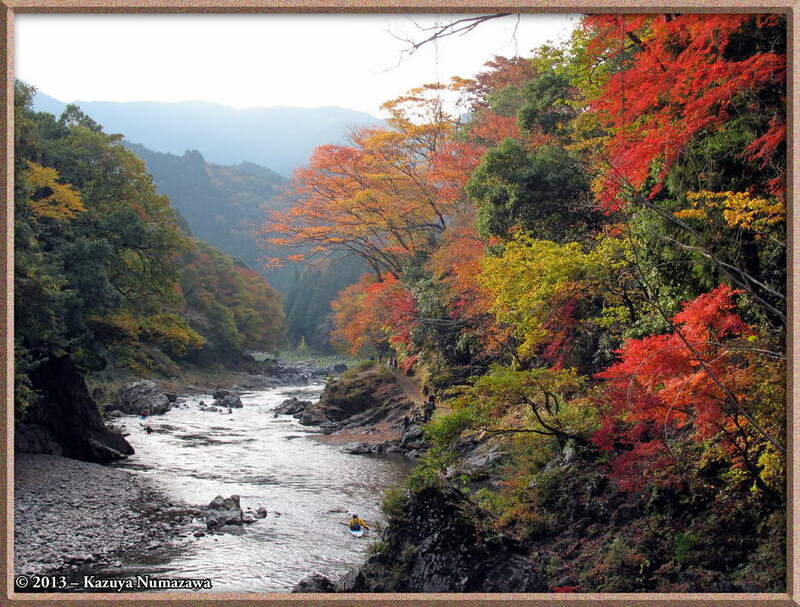 Second Photo - Beautiful Fall Colors at Higashi Nippara. 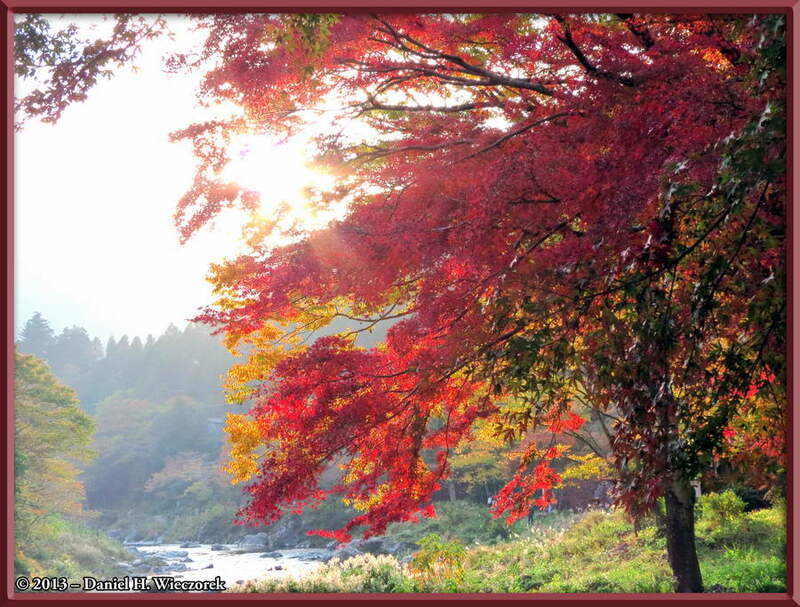 Third Photo - Autumn Colors At Mitake, along the Tama River. 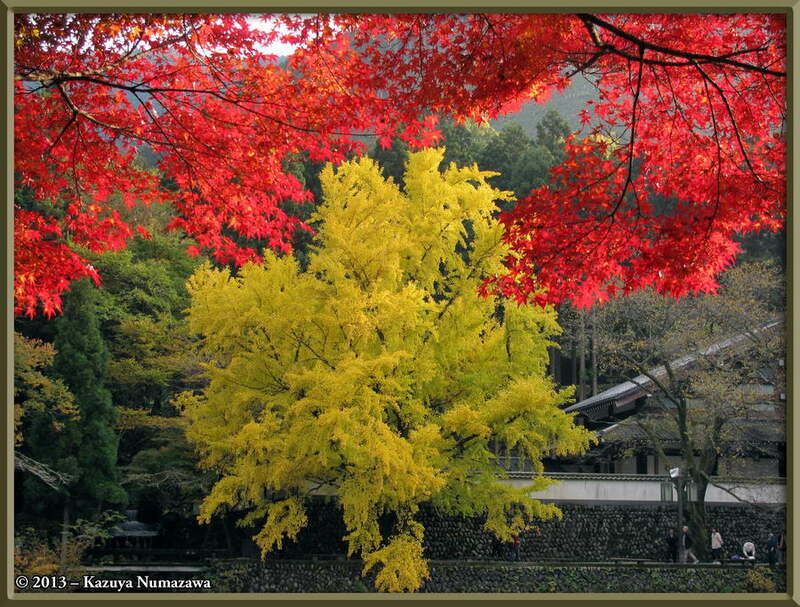 First Photo - The Famous Ginkgo and some Red Maples at Mitake, beside the Tama River. 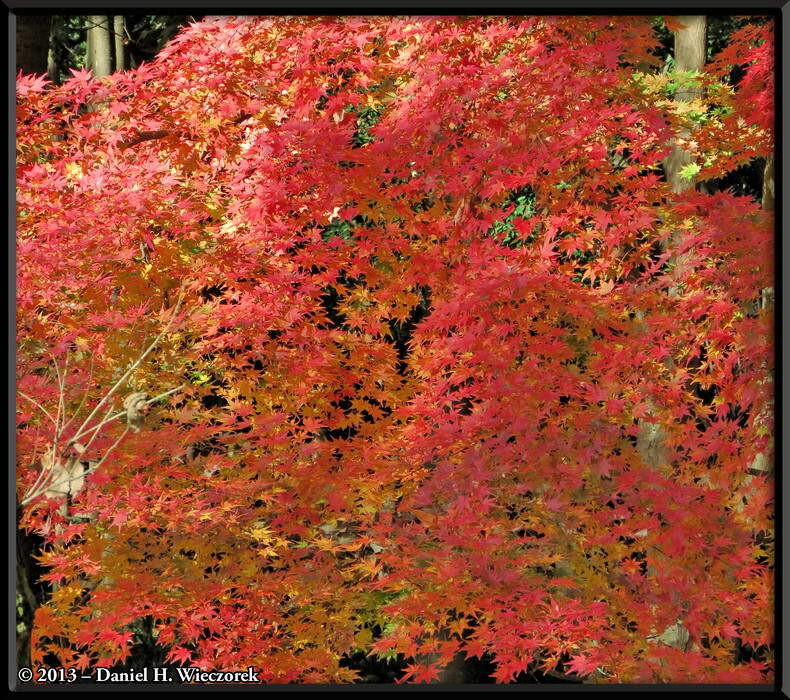 Second Photo - Fall Colors along the Tama River between Mitake and Sawai. 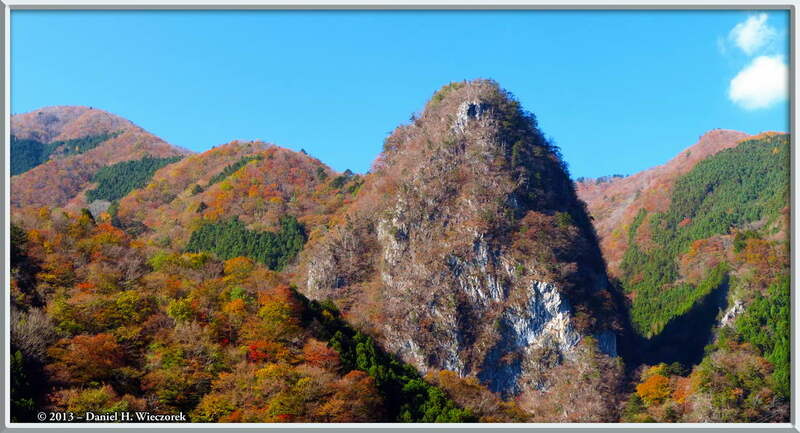 First Photo - A colorful hilltop near Mt. Mitake. Second Photo - Mt. 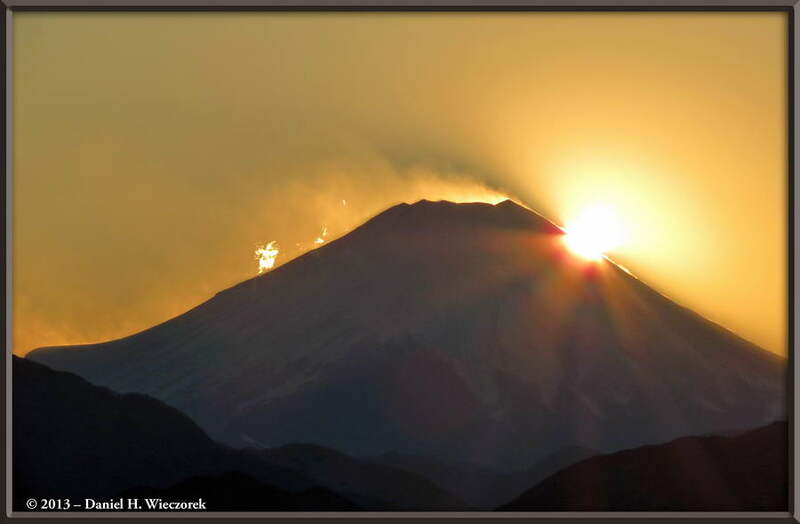 Fuji and the sunset, from Mt. Takao. Page 17 of Christmas Letter. 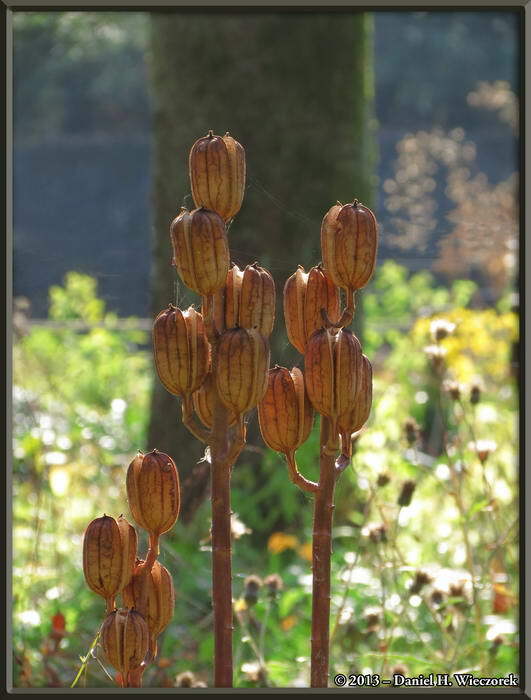 First Photo - Nogawa Park - seed heads of some lily, probably Cardiocrinum cordatum (Uba-Yuri in Japanese = Old-Lady Lily). 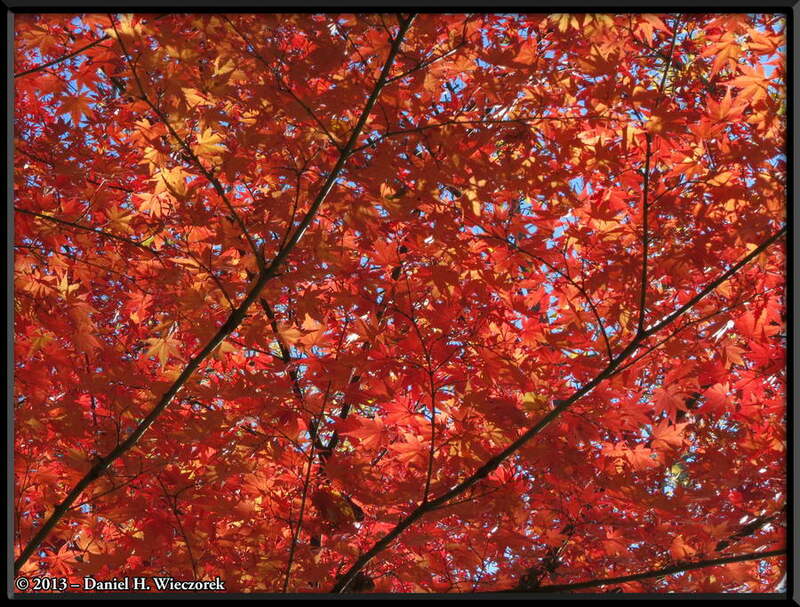 Second Photo - A stunningly beautiful Red Maple at Nogawa/Musashino Park. 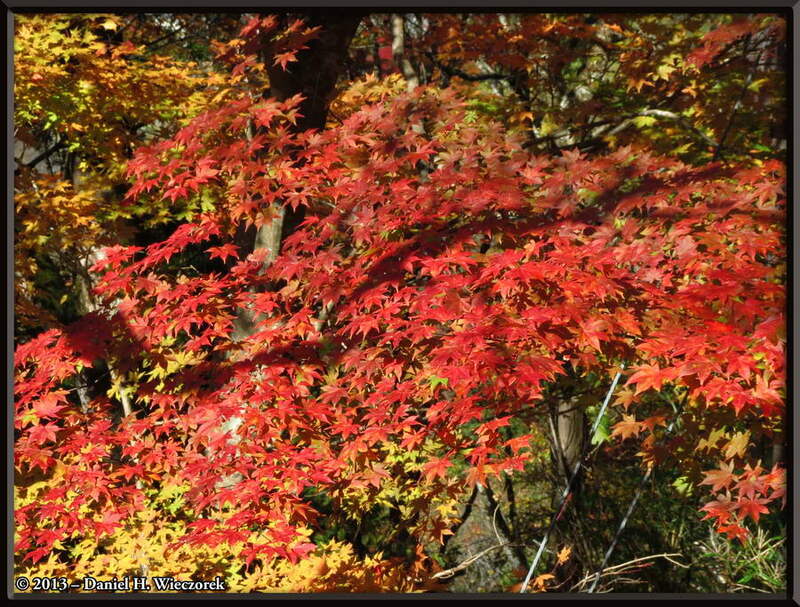 Third Photo - Autumn Red Maple at Nogawa/Musashino Park. Pages 17 and 18 of Christmas Letter. 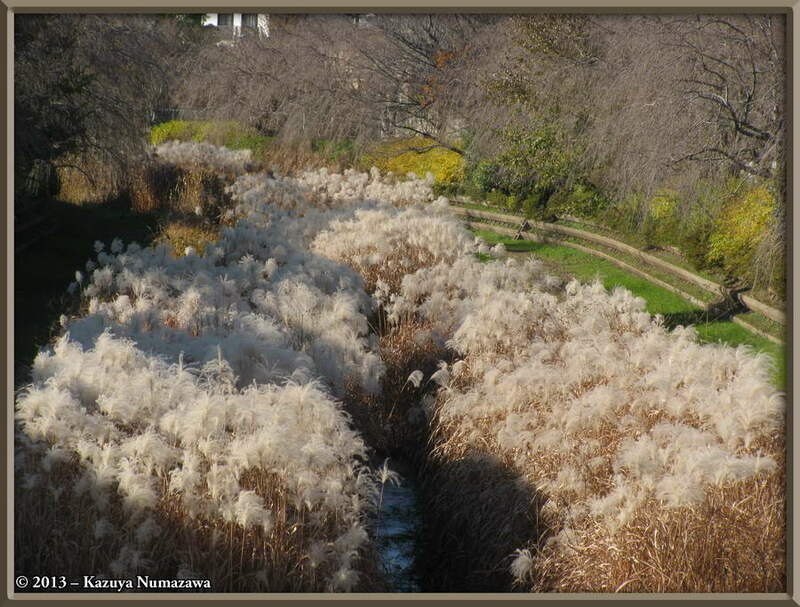 First Photo - Fall Colors at Musashino Park - Susuki Grass (Miscanthus sinensis) along the Nogawa (No River). 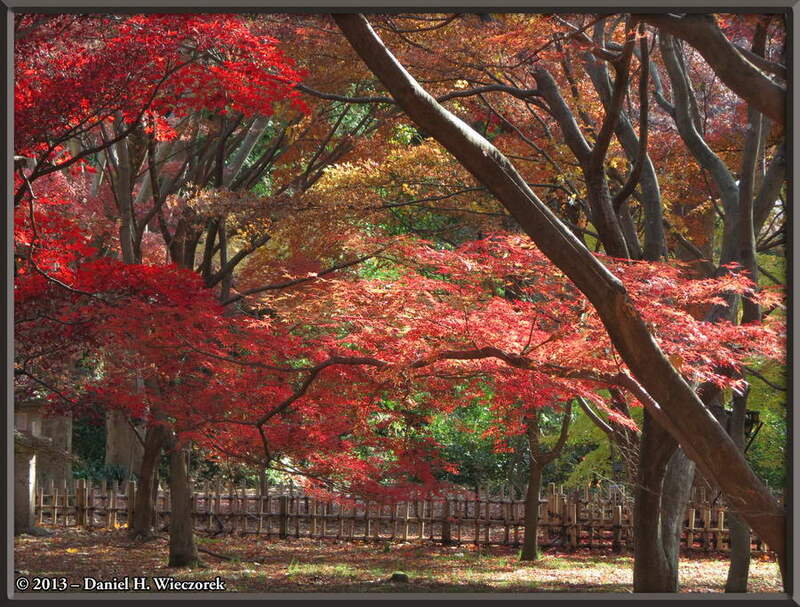 Second Photo - Fall Colors at Jindai Botanical Garden. 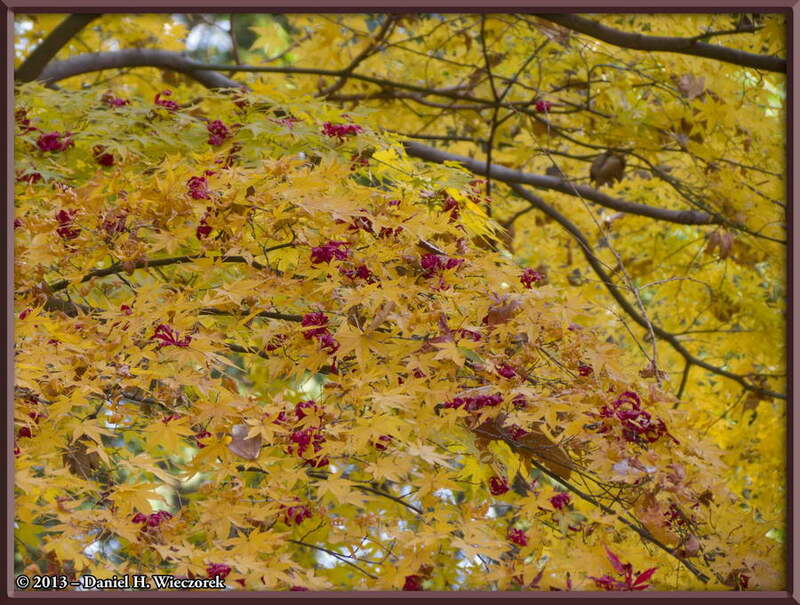 Third Photo - Autumn Colors at Jindai Botanical Garden - a yellow maple. Page 18 of Christmas Letter (Final Page). 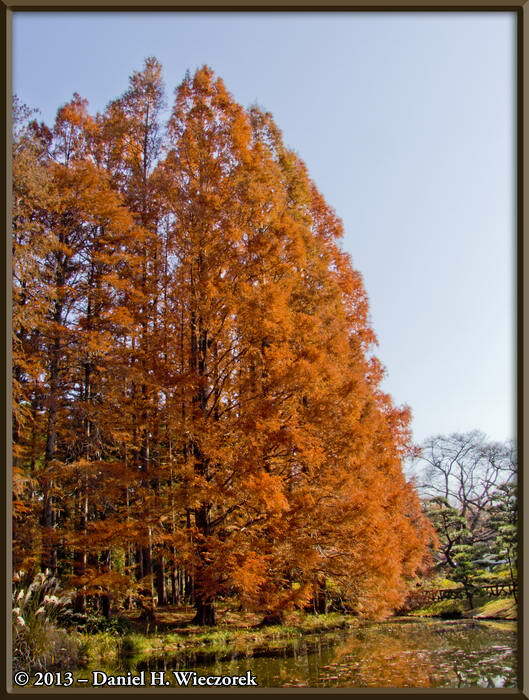 First Photo - Autumn Colors in the Metasequoia (Metasequoia glyptostroboides) at Jindai Botanical Garden. 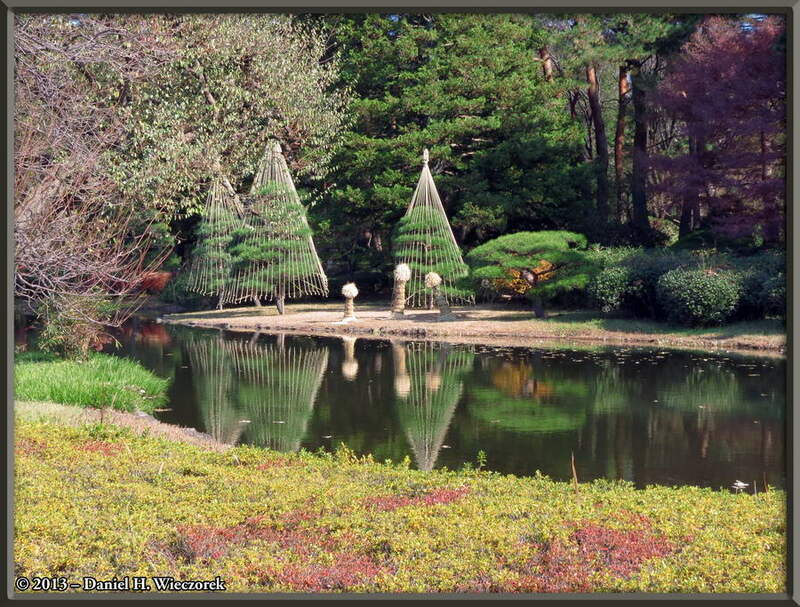 Second Photo - Reflection on the big pond at Jindai Botanical Garden. 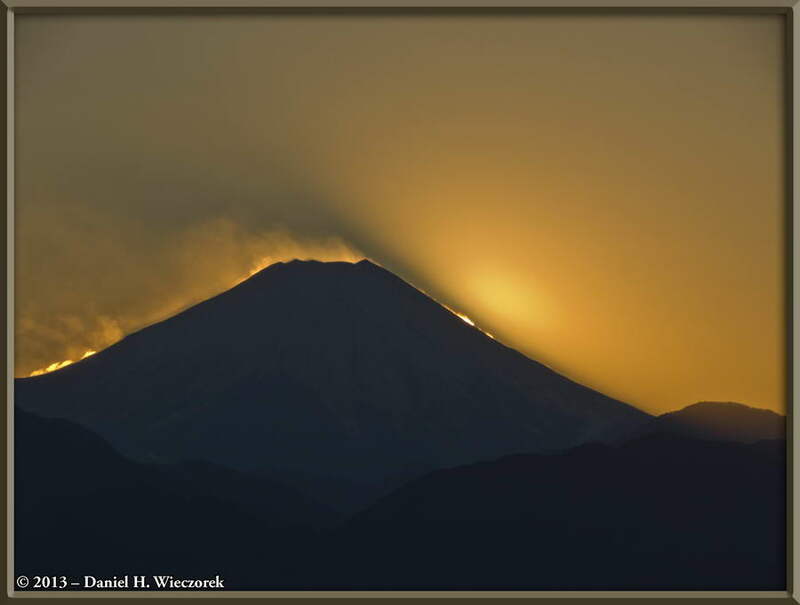 First Photo - One week before the "Diamond Fuji" Phenomenon at Mt. Takao. 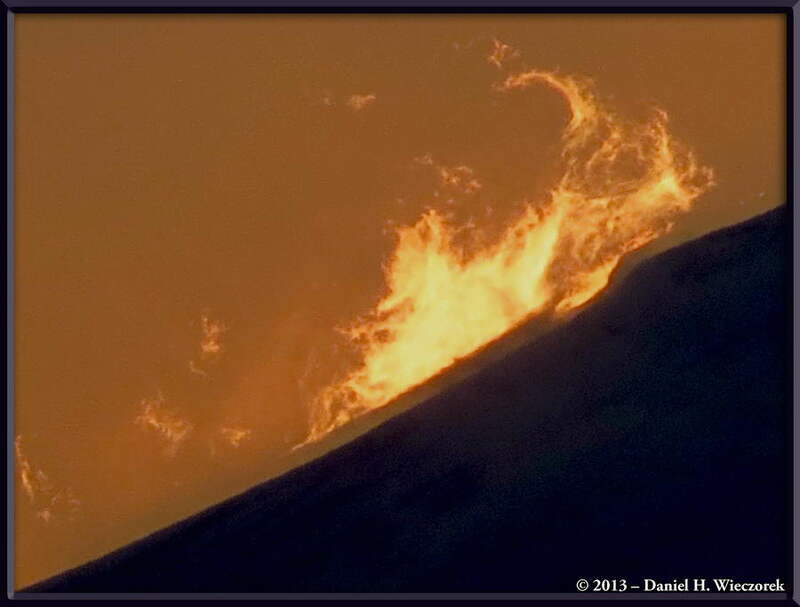 Second Photo - One week before the "Diamond Fuji" Phenomenon at Mt. Takao. Third Photo - An interesting cloud and shadow on the left flank of Mt. Fuji.